If you asked 24HourFlex to send Open Enrollment letters to your current COBRA participants, you may log in to your COBRA Employer Portal and download a report to confirm the letters that were sent and to whom. Open Enrollment letters are sent to participants to inform them of any updates to their enrollment as well as allow them to make changes to their current plans or coverage level. To download the Generated Letters report, you will first need to log in to your COBRA Employer Portal at portal.24hourflex.com. 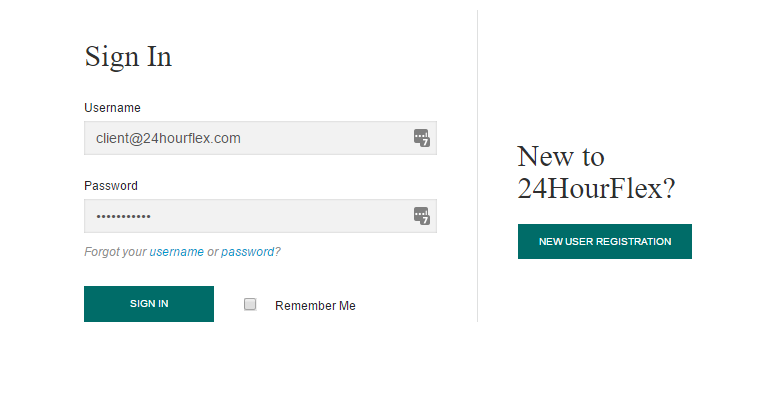 If you are logging in for the first time, click here. Once on the home page of your Portal, click on the “Imports & Reports” option in the menu on left. From the drop-down menu, click on “Standard Reports”. On the next page, you will see a drop-down menu. 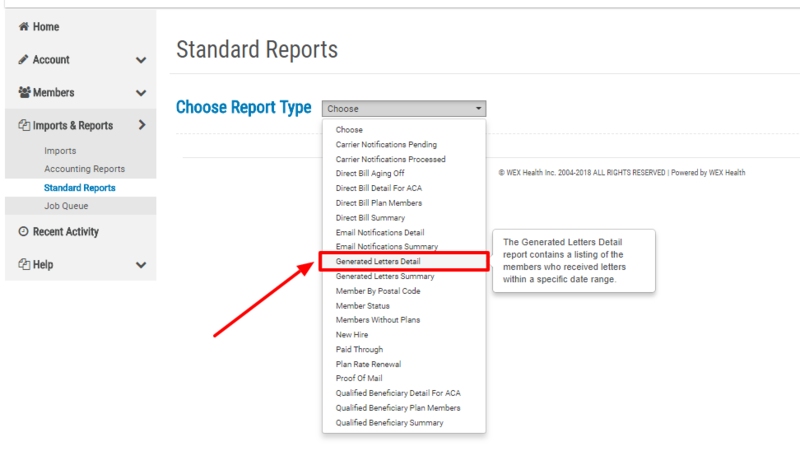 Select “Generated Letters Detail” from the list that appears. On the next page, you will be able to specify the content and date range for the report. If your company has multiple divisions, you can select “All” or individual divisions of employees. Next, input the start and end date for the report. Typically, 24HourFlex generates and sends Open Enrollment letters to current participants the day after the Open Enrollment setup has been completed in our system. Once the plans and rates have been finalized, you should receive an email from the 24HourFlex COBRA Team notifying you that Open Enrollment has been finished. You can put in any date range you wish, but if you would like to isolate the Open Enrollment letters that were sent immediate following the completion of your new plan year setup, it is advised to enter the day before the email was sent as the Starting Generated Date and the day after the email was sent as the Ending Generated Date. Select the format in which you wish the report to generate and, when done, click “Run Report”. You will then see a confirmation message at the top of page indicating that your report has been sent to the Job Queue, which lists all requested reports. 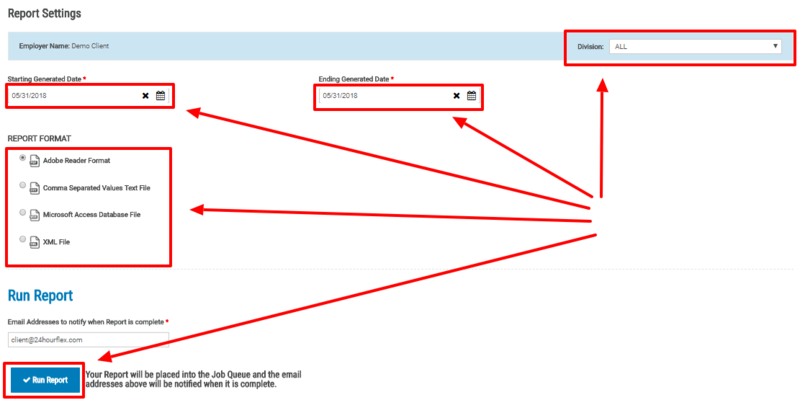 Click on “Job Queue” in the confirmation message or in the menu on the left to go to the Job Queue page. 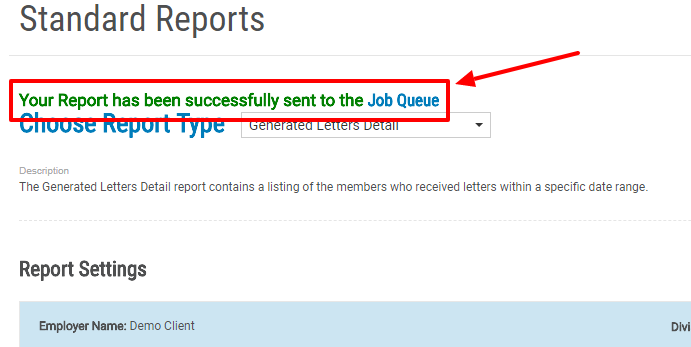 Once in the Job Queue, you will see the Generated Letters Detail report as the first in the list. When your report is ready, you will see a “View” link appear. You may need to click “Refresh” in the top right corner in order to see the “View” option appear. If you have any questions, please reach out to our COBRA Team at cobra@24hourflex.com or 303-369-7886.